Luciano Spalletti during a Serie A game. The 2018-19 Serie A season has already witnessed some intriguing contests and as the season enters the final phase, the race for the title will get much tighter. Juventus are at the top of the table with 66 points while Napoli is at the 2nd position with 53 points. When we compare Inter Milan’s performance with these two teams, Luciano Spalletti’s side hasn’t done badly. Inter Milan is currently at the 3rd position with 46 points and has looked a much better side then the last season. Their midfield has functioned quite well, while their forward line has also looked much more intense. The team has to show much more cohesion in the defense which manager Spalletti thinks could make his side much more robust. He had expressed disappointment when his side couldn’t make it to the knock out rounds of the Champions League but has claimed that they will try to put up a good show in the next season. The 59-year-old has been optimistic about his side’s chances of finishing in the top 4 in the ongoing Serie A season. Although winning the Serie A title looks a tough ask for the Black and Blues, the team needs to perform consistently in order to finish in the top 4. Inter Milan won their Europa League game against Rapid Wien on 22nd February which might do their confidence a world of good. Inter Milan has looked a balanced outfit for the last 2 to 3 seasons but they still need to work on certain areas. 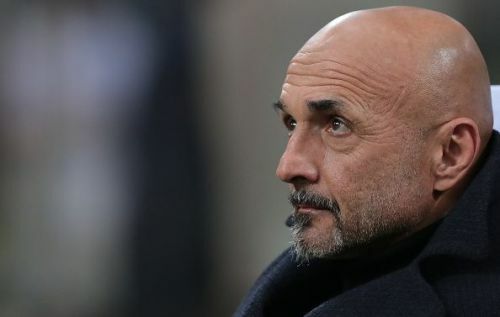 Luciano Spalletti and the team management have taken some important decisions as far as the team formation is concerned and it will be interesting to see how the team shapes up in the upcoming fixtures. Spalletti has expressed confidence in the team’s abilities and the players are enjoying his confidence. The team is looking much more competitive but still need to show much more fluidity in their approach. Inter Milan has got a perfect mix of youth and experience and is going through a rebuilding phase. The team could surely be a challenging opponent in the future if it plays to its capabilities. Inter Milan has got some very exciting players in the dugout who have produced some eye-catching performances this season. We take look at 5 such players who have impressed the most in the 2018-19 season. Mauro Icardi and Inter Milan: A breakdown in communication or a one-sided love story?